Ernest Hemingway was one of the greatest American novelist of the 20th century whose work had a great impact on the later generation. we bring you his works. Having the fallout of the devastating World War I as a backdrop to its plot, this novel revolves around the lives of the protagonist Jake Barnes, the beautiful British socialite Lady Brett Ashley and other male characters. The wounds of the World War I turn Jake’s life around while Brett seems to have affairs with the number of men who are infatuated with her. Weaving together the love rings, the unfathomable bonds, true friendships, heartbreaking betrayal and rude jealousy, Hemingway portrays the characters by taking inspiration from his real-life circle and actions based on real-life events. The unique setting of the novel also reveals his love for bullfighting and fishing. Hemingway’s biographer Jeffrey Meyers writes that it is "recognized as Hemingway's greatest work”. Published in 1926, this novel established him as one of the well-known writers of his day. Having a plot set against the framework of Italian campaign during the World War I, A Farewell to Arms is a novel interweaving the lives of the protagonists Lieutenant Frederic Henry, a young American driver of the ambulance corps of the Italian Army and Catherine Barkley, an English nurse’s aide and their adoring love affair. Wounded on the battlefield, Henry gets to encounter Catherine again in the hospital and this time, their love becomes more passionate and real. The tangled love with boundless emotions and desires is soon put to a pause by their separation due to War. The distance and the yearnings are surmounted when Henry’s War obligations are over. The plot revolves around passion, obsession, love, separation, war, distance and final reunion. The heart wrenching climax and the tragic end will make you reach out for soft tissue to aid your tears. The novel depicts Hemingway’s life in Italy as an ambulance driver before he started writing this novel. It has been adapted for stage, television miniseries as well as for the film ‘In Love and War (1996)’, directed by Richard Attenborough. One of the last works published by Hemingway, this novel is one of his most famous works of fiction. It tells the story of Santiago, an unlucky and aged Cuban fisherman, who has set out to sea for 84 days and returns empty-handed. On the 85th day, he decides to sail farther than usual, knowing that his fruitless steak is soon to come to an end. He ventures out to Gulf Stream, far off the coast of Florida and struggles for three long days with the great marlin. The sleepless, wounding and weary struggle of the old man with the fish is narrated and pronounced with such explicit and minute details that it digs out deeper meaning to life and the interminable struggle of survival. The novel also portrays the bond and affection of Santiago and his young apprentice, Manolin. Hemingway depicts his immense passion and love for fishing via this piece of work. In 1953, this novel was awarded Pulitzer Prize For Fiction. 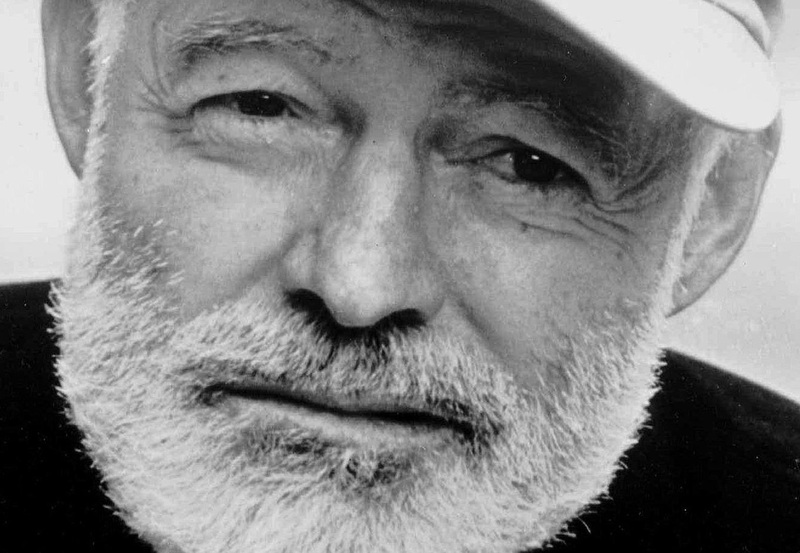 In 1954, Hemingway was awarded The Nobel Prize for Literature. Having greatly contributed to Literature, Hemingway still ignites love, passion, tussle and so many emotions in the hearts of his readers readers. And with his work, he is forever to live and forever to be loved.